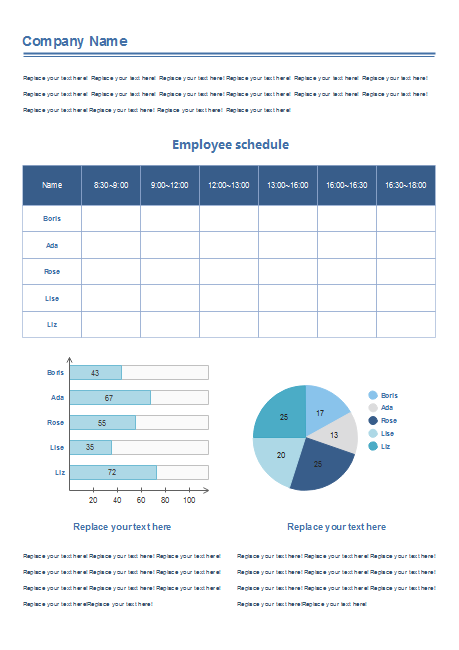 Description: Use this employee schedule form to better organize employee's time and promote the efficiency of work. The schedule form can be edited according to your requirements. The table's columns and rows can be modified, and the charts go with your real data. Download for free.